« Lesser prairie-chicken numbers are up. Is it good conservation or just good weather? Here’s the background on targeting, what the research says, and why targeting should be even more finely tuned and amplified at scale in order to accelerate on the ground environmental improvements. In the past, conservation dollars were primarily distributed on a first come, first served basis. While we still need more funding for conservation and a greater emphasis on targeting, the practice has come a long way. The term used to be very misunderstood in agriculture, as it often held negative connotations for farmers who equated targeting with attempts to single out their farms. There was also a lack of understanding about the scale of targeting – did it apply to an entire river watershed? Stream drainage area? Individual farm? 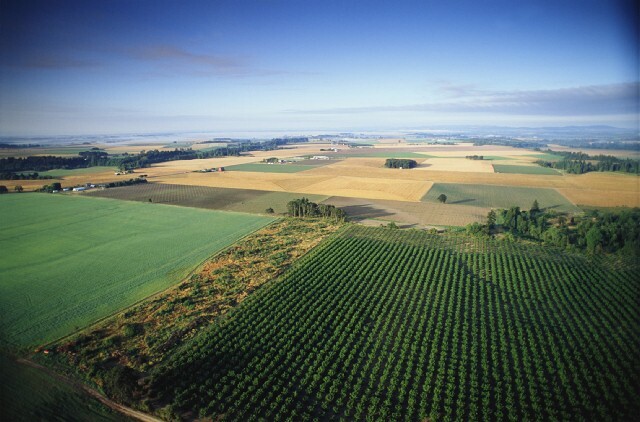 In the late 1990’s, under the leadership of the U.S. Department of Agriculture’s Natural Resources Conservation Service (NRCS), program dollars began to shift toward regions, specific watersheds, and critical conservation areas. Former NRCS Chief Dave White referred to the first-come, first-served approach as “random acts of conservation,” further underscoring the need for targeting limited conservation dollars. Today, program dollars continue to flow to areas where water quality and resource conservation needs are greatest. EDF’s watershed approach analyzes where practices will have the maximum impact at reducing nutrient losses. 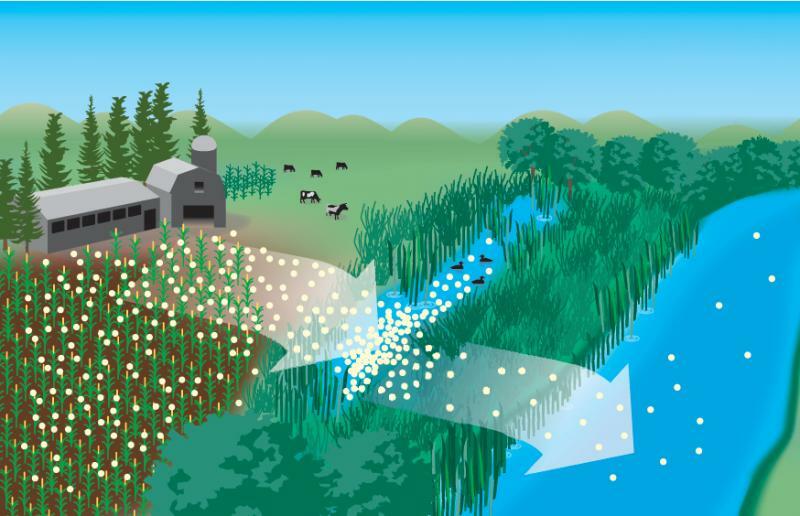 Research by government agencies, academic institutions, and conservation organizations shows that targeting conservation on the landscape is an effective strategy for reducing nutrient losses in agricultural landscapes. At EDF, our “watershed approach” uses satellite imagery and a hydrologic flow mapping technique spearheaded by researchers at USDA’s Agricultural Research Service in Iowa to pinpoint, down to the smallest watershed level, where practices will have maximum impact at reducing nutrient loss – e.g., beneath crops, at the edges of fields, or at streambanks. The results of this approach can help to inform local conservation planners. EDF’s research also shows that we don’t have to convert a significant amount of productive cropland to improve water quality. By taking land that constitutes less than 1-2 percent of the ag landscape out of production, we can improve environmental outcomes without sacrificing profits. 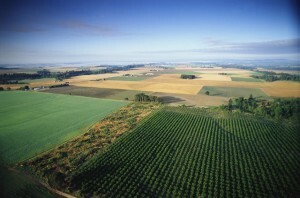 Similarly, one of the modeling scenarios in the University of Michigan study showed that implementing subsurface fertilizer applications, planting cover crops, and creating buffer strips on 50 percent of the rowcrops with the highest levels of nutrient runoff in Ohio’s Maumee River watershed could achieve the reduction target for Lake Erie. Linda Prokopy at Purdue University has underscored the importance of having engaged, energetic and trusted local staff to help farmers access conservation dollars and technical assistance. This implies that success will depend in part on local conservation district staff’s ability to reach the right farmers, and the quality of the science and technical resources they have to better target conservation within their watersheds. 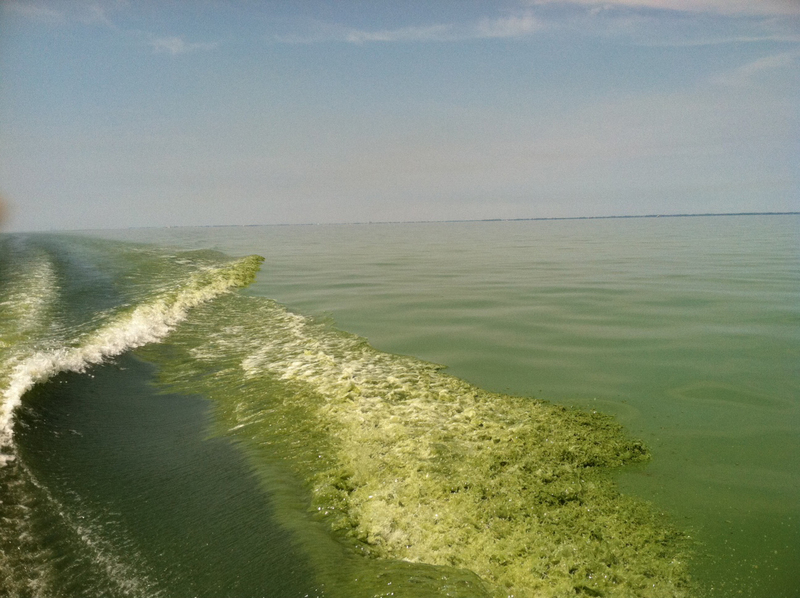 In the Ohio Lake Erie basin, NRCS reports that local partners like Ohio Farm Bureau, Nature Conservancy, the Ohio Ag Business Association and Soil and Water Conservation districts help get the word out to farmers about the availability of Lake Erie conservation funding. We’ve come a long way in the past decade toward much greater and more effective targeting of both conservation dollars and practices. We still have a long way to go but this trend is huge step in the right direction. In fact, we might call this approach the “4Rs of targeting” – the right funding to the right farmer for the right practice in the right place. This entry was posted in ecosystems, fertilizer, Sustainable Agriculture, western water, Wildlife Protection and tagged agriculture, conservation, environmental defense fund, farmers, farming, fertilizer, fertilizer runoff, funding, Lake Erie, nutrient efficiency, soil health, sustainability, targeting, USDA, water quality, watershed. Bookmark the permalink. Both comments and trackbacks are currently closed.